Soutache is a decorative braid. 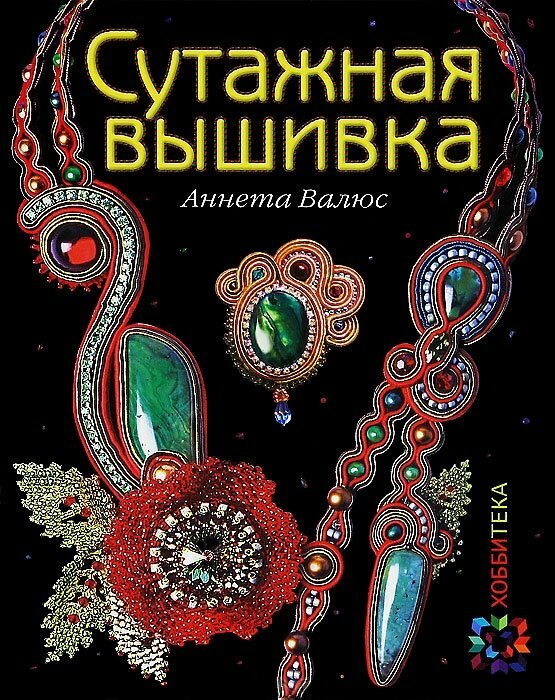 Attaching it to a backing and embellishing it with cabochons, crystals, and beads, is a hot, trending technique—and this is the first English-language book dedicated to this fantastic, yet relatively easy craft. 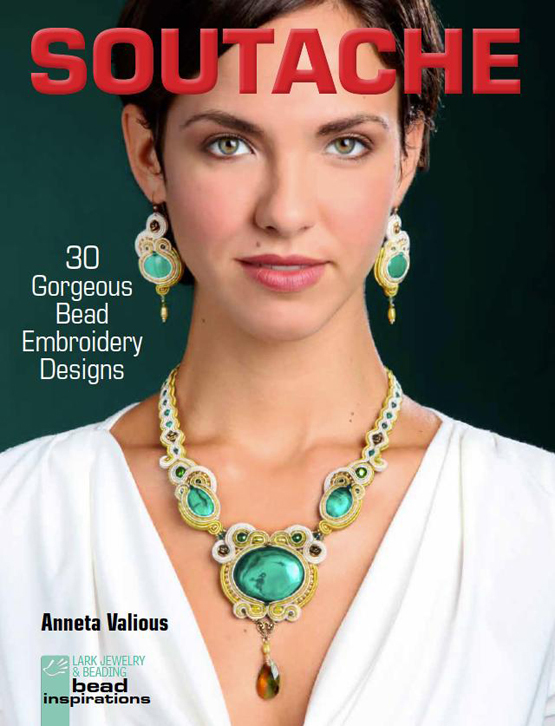 Anneta Valious describes the entire process, from sewing methods to making straps to finishing, and provides 30 projects that include necklaces, earrings, pendants, bracelets, barrettes, and more. It's the perfect guide for beaders, jewelry makers, and general crafters eager to expand their repertoire and take their designs to the next level. 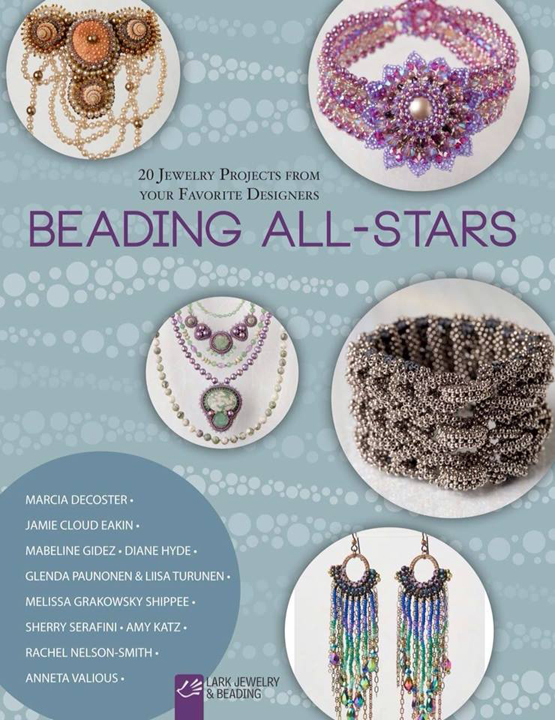 For beading fans, this sensational, inspirational collection is an all-star feast! Every one of the ten bead artists showcased—including Jamie Cloud Eakin, Marcia DeCoster, Sherry Serafini, and Rachel Nelson-Smith—is a bestselling author and international celebrity in her own right. Together, they've contributed 20 new designs for intermediate-to-advanced projects—including beadwoven and bead-embroidered earrings, necklaces, bracelets, and other jewelry. It's a must-have book for all eager beaders. Ce livre comporte un grand chapitre avec des explications des techniques de base de la broderie à la soutache, comme différentes chaînettes et tours de cou, l'insertion des cabochons et des strass, la pose des fournitures et de la doublure etc. Dans la deuxième partie de livre, vous trouverez 17 bijoux et accessoires à créer, avec des photos pas à pas. En Russe, 96 pages, relié.